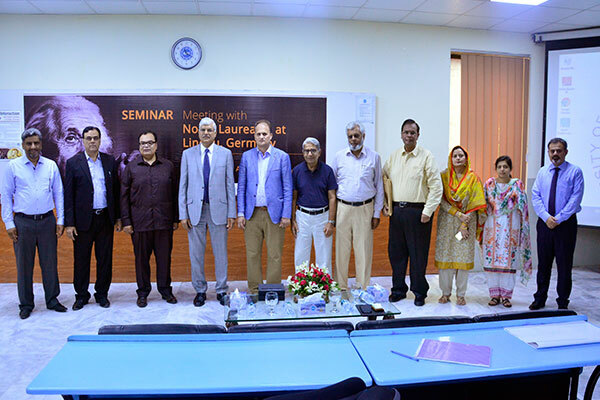 A delegation from Pakistan Institute of Engineering and Applied Sciences (PIEAS) headed by Dr Muhammad Aftab Rafiq visited UMT and gave presentations in a seminar on the upcoming 69th Lindau Nobel Laureate Meeting scheduled on June 30 –July 5, 2019, which is dedicated to the field of Physics and its related branches. The delegation was invited by Rector UMT Dr Muhammad Aslam who is also the former Rector of PIEAS. 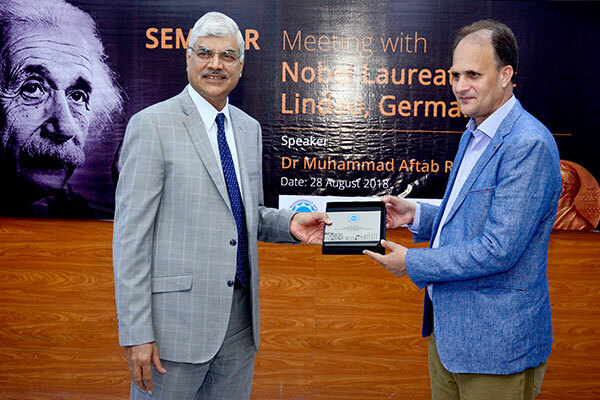 Shedding light on the objectives of the seminar, Dr Muhammad Aslam said that Nobel Laureates interaction program aims at cultivating relations with Nobel Laureates, who hold meetings with the young and brilliant students from around the world. He said that Pakistani students and young researchers enrolled in Physics and other applied sciences must get registered for the forthcoming meeting to demonstrate their talent and learn from the interaction of fertile minds. Dr Aslam said the seminar aims at raising awareness among the students and the faculty members to get to know about Nobel Laureates interaction program and that how they can apply for this opportunity. 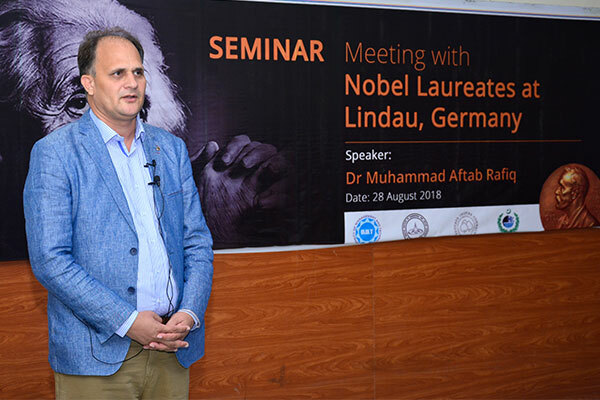 Dr Muhammad Aftab Rafiq said that 30 to 40 Nobel laureates, 500+ students and young researchers from about 75 countries in the fields of Physics, Chemistry, Medicine and Physiology interact with one another for a week during the meeting in Lindau, Germany. 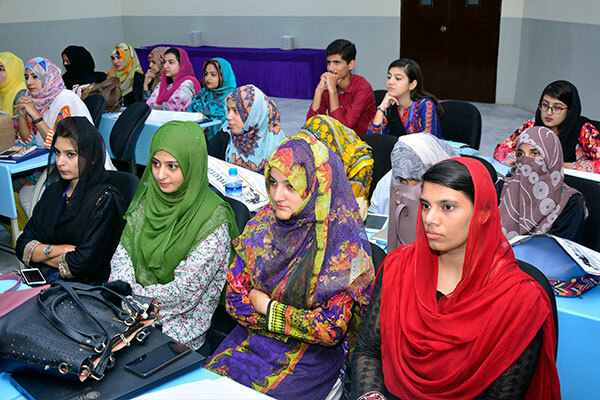 Pakistan entered this program in 2003 through the HEC and since then many students have been selected for the interaction session purely on merit basis. He said the participants are taken to Germany for one-to-two weeks to attend the annual meeting of Nobel Laureates and learn from them regarding their respective fields. Dr Kamran Safdar also spoke on the occasion and responded to the questions and queries put forward by the participants. As many as 15 teams of young scholars from Pakistan have already participated in the past fourteen annual meetings since 2003. It is worth mentioning that this year 2019’s Noble Laureates Meeting is dedicated to the field of Physics only and all BS, MSC, MS/MPhil and PhD candidates who are not more than 35 years old can apply for the program that is being funded by HEC for the promotion of higher education and human resource development in Pakistan.